I mentioned this one in my last book haul, and I couldn't wait to share a little excerpt with you guys. 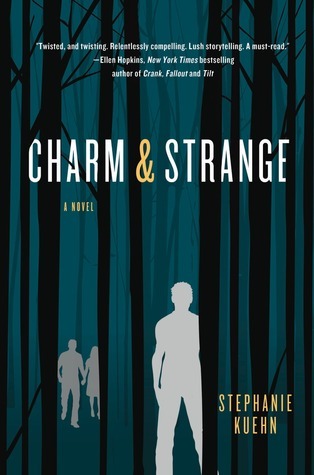 So here's a brief excerpt of CHARM & STRANGE by Stephanie Kuehn, the 2014 William C. Morris award winner! Check it out, and let me know what you think in the comments! Yep! Sounds good. I'll have to be in the mood for it, but I definitely want to read it. Thanks for sharing the excerpt!